Animals which appear to shimmer and shine may have evolved these qualities as a way to startle predators, new research suggests. Iridescent animals, such as kingfishers, peacocks and dragonflies, can produce a mesmerising display of colour depending on the angle of illumination or observation. However, until now there has been limited scientific understanding of the function of iridescence and why this quality, known as 'interference colouration', has evolved independently several times in insects such as beetles and butterflies. 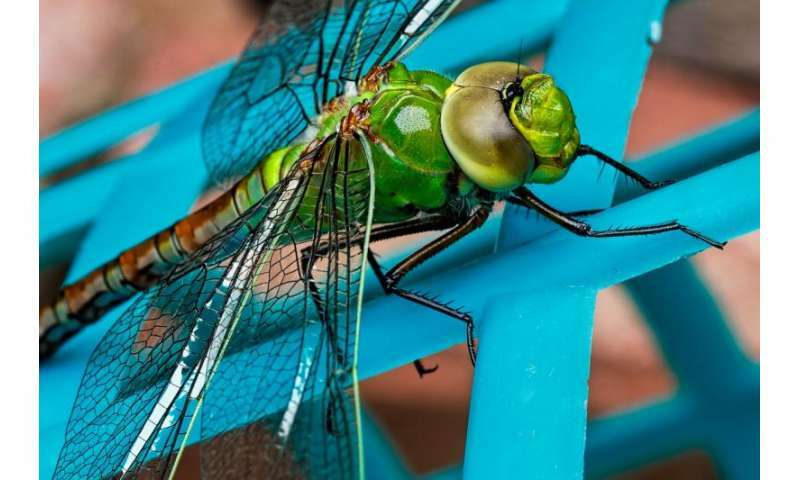 In a new study, published in the scientific journal Biology Letters, Dr Thomas Pike, a behavioural and sensory ecologist at the University of Lincoln, UK, suggests that for some organisms, iridescence evolved as a way to confuse predators. By producing startling changes in colour and brightness, the animal is able to briefly surprise a potential predator, increasing its chance of escape. For the first time, Dr Pike tested whether interference colouration decreases the chance of predation. The experiment presented Japanese quail with a selection of virtual insects on a touchscreen. The quail were initially trained to peck at black moving targets on a uniform grey background. Then each subject was presented, in sequence, with 20 stimuli – 10 with interference colouration and 10 without, in a random order against the same grey background. Predators required more pecks to successfully catch interference-coloured prey compared to otherwise identical prey that lacked interference colouration. Attacks against prey with interference colours were less accurate too. This suggests that changes in colour or brightness caused by prey movement hindered a predator's ability to pinpoint their exact location. Dr Pike, Senior Lecturer in the School of Life Sciences at the University of Lincoln, said: "Animals with conspicuous colouration, such as contrasting stripes, have been shown to be protected from predators, possibly because they find it hard to judge their speed and movement. It stuck me that the conspicuous colours displayed by iridescent animals may also allow them to evade predators using a similar mechanism. "My findings suggest that significant anti-predator benefits may indeed be gained by having interference colouration, and may explain why interference colours are so widespread. More generally, this raises the intriguing possibility that changing appearance may be important in predator avoidance, and that interference colours are a special case of this phenomenon."